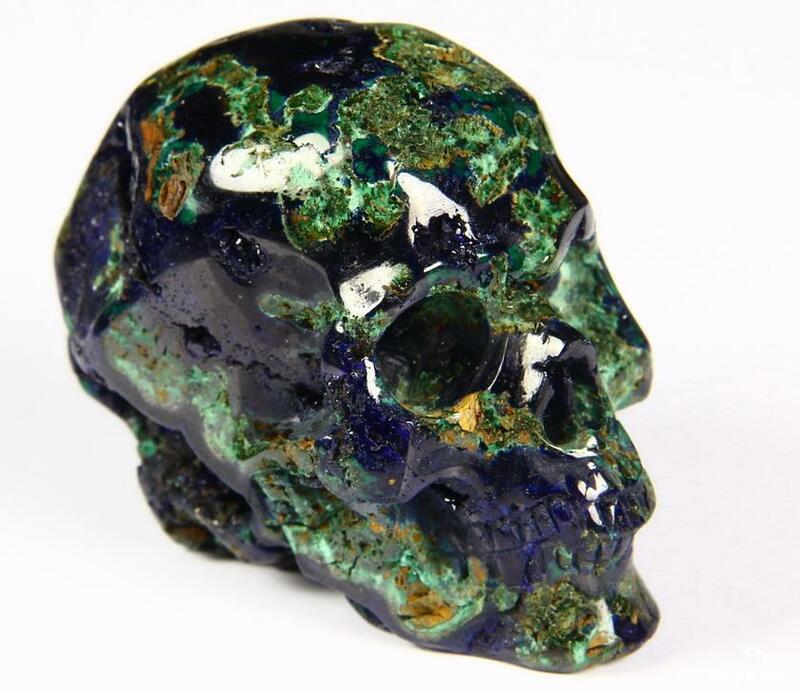 You are looking at an azurite & malachite skull. The skull is 2.4 inches long from front to back. 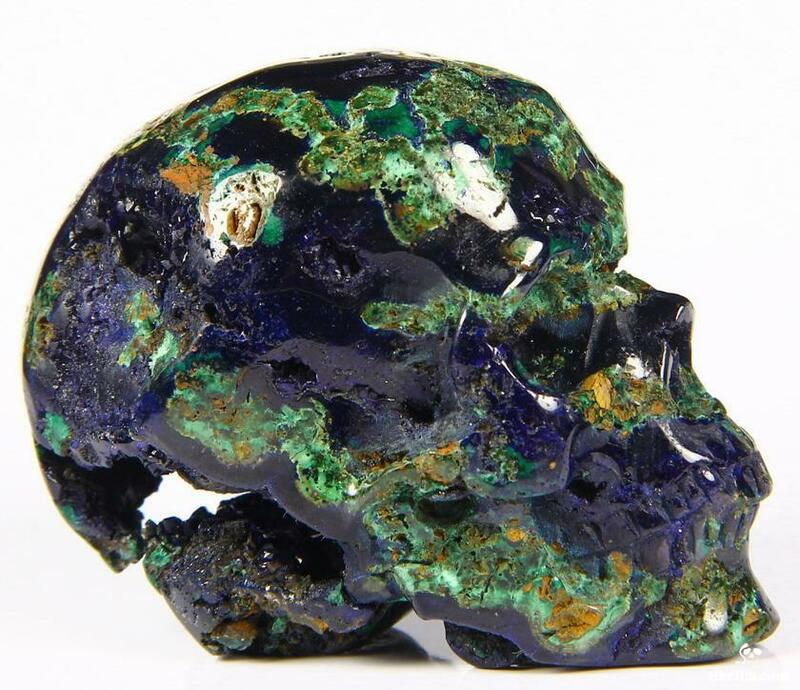 Azurite is a popular mineral whose name comes from its striking blue color. It is a copper-based mineral that is formed from weathering copper deposits. 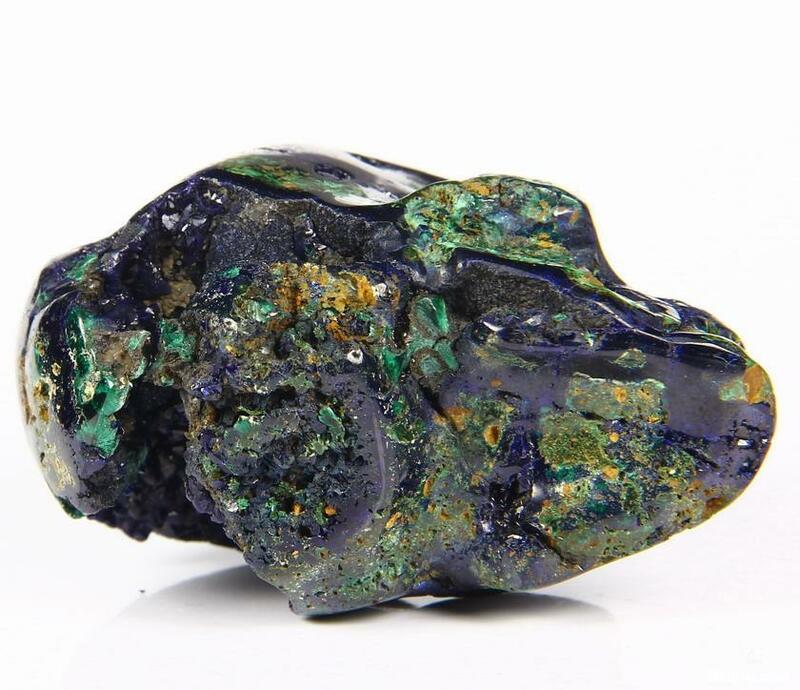 Azurite is also known as Chessylite. 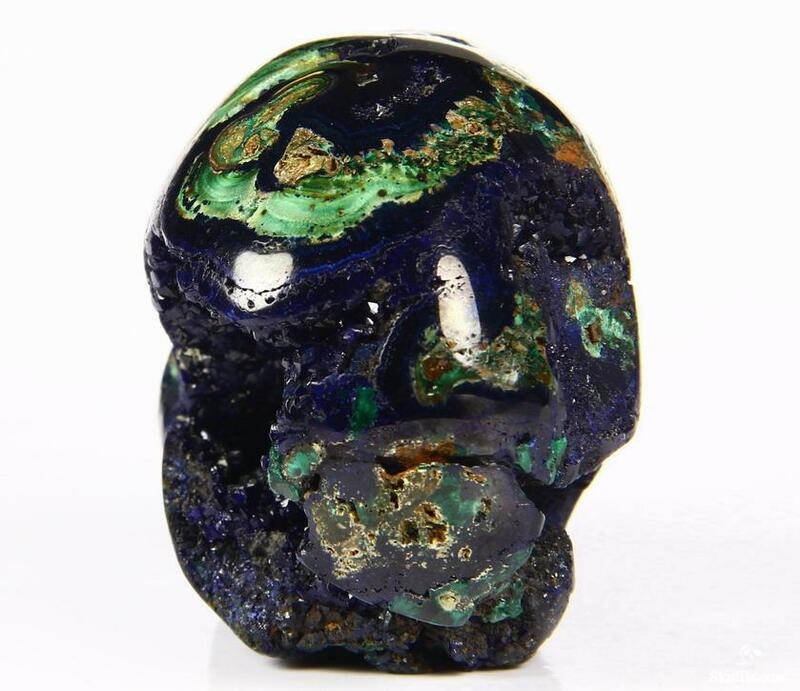 Azurite was first used as a pigment in Fourth Dynasty Egypt. It was used to make a pigment called Egyptian Blue. 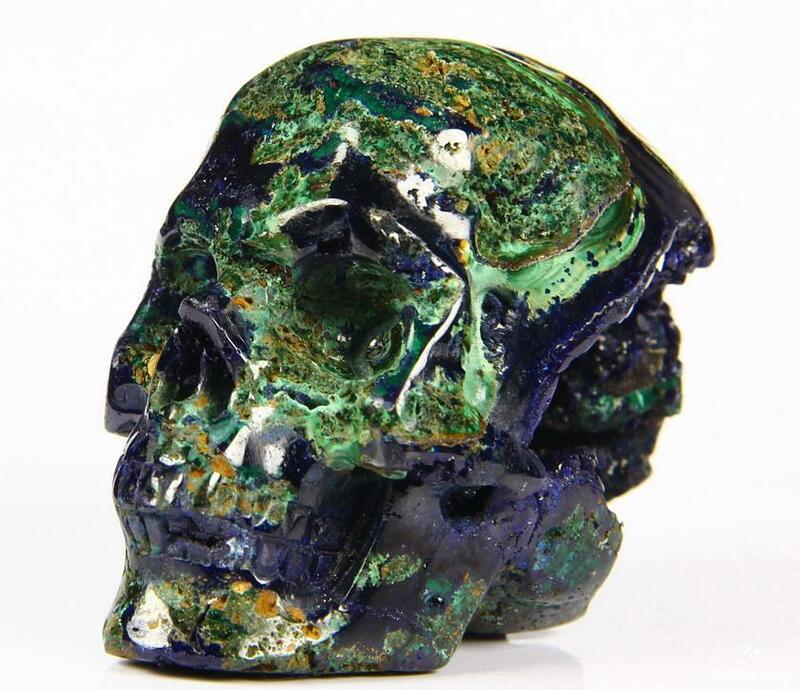 It can turn into malachite under certain conditions. 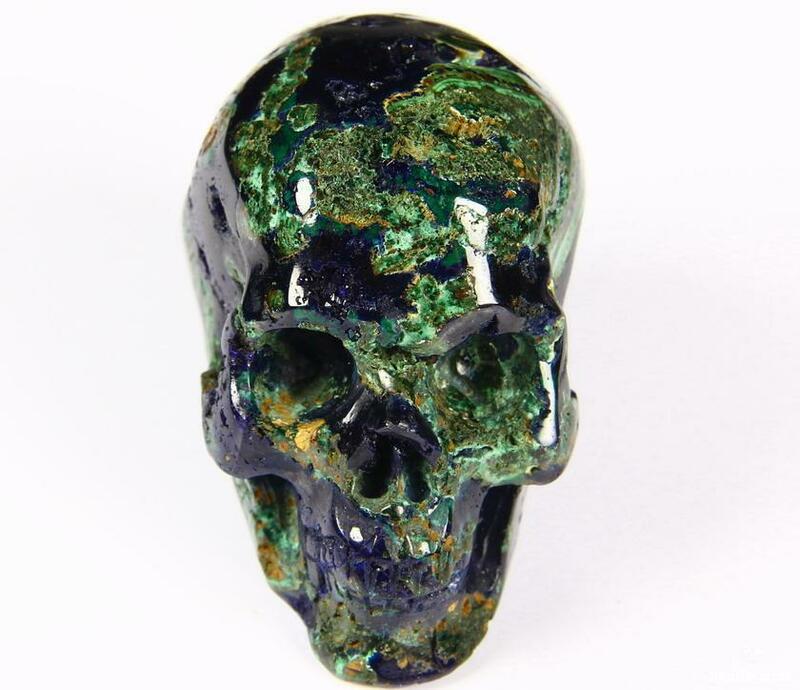 It usually occurs with green Malachite, which may form green stains or specks on Azurite crystals or aggregates. 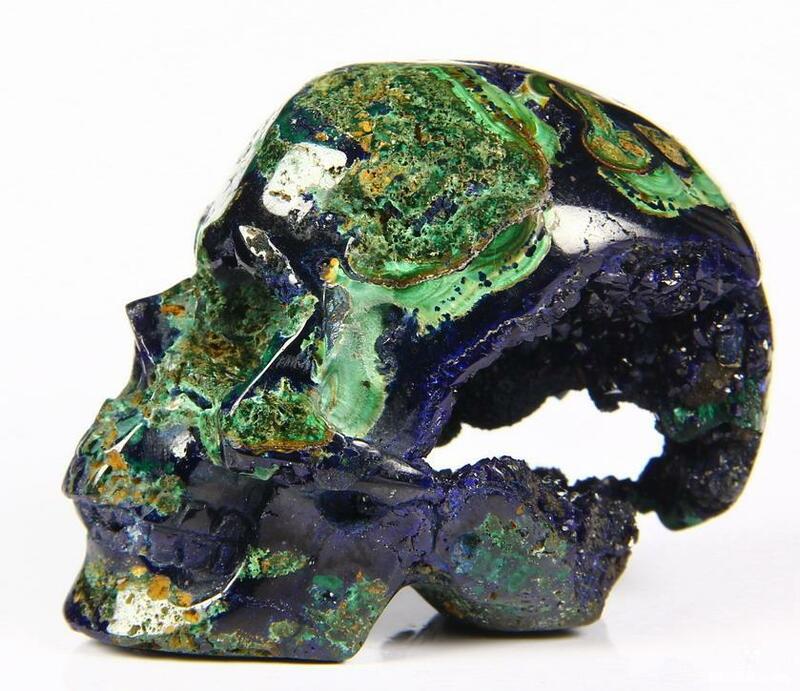 The two minerals sometimes occur admixed or banded together, forming what is called "Azure-malachite" in the gem and mineral trades. 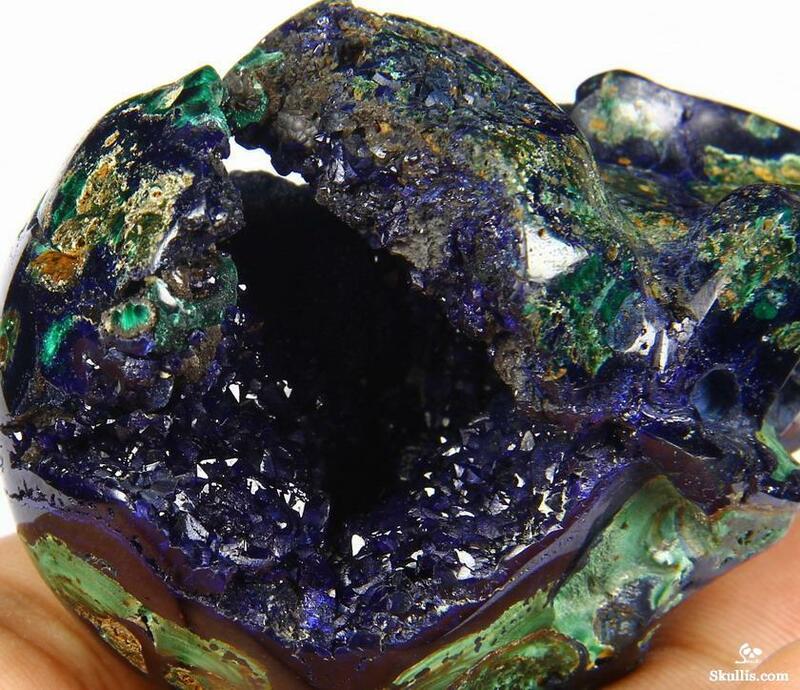 A rarer Azurite mixture, known as "Bluebird", is Azurite mixed with dark red Cuprite. Azurite, "Azure-malachite", and "Bluebird" all have gem uses.